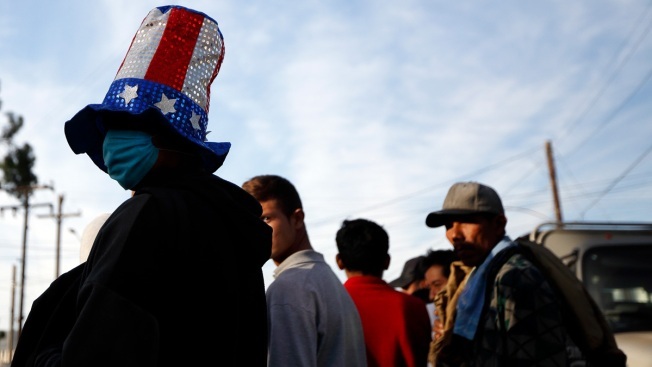 In this Nov. 27, 2017, file photo, Cristian Mejia, of El Salvador, waits with others in line for food, outside of a shelter for members of the migrant caravan, in Tijuana, Mexico. President Donald Trump is spreading a false claim from supporters that people who are in the United States illegally receive more in federal assistance than the average American gets in Social Security benefits. Associated Press writers Colleen Long and Tom Krisher contributed to this report.